 Miles Strong is a Member of the Royal Institution of Chartered Surveyors and a RICS Registered Valuer. In a career of some twenty years' as a Chartered Surveyor and Chief Valuation Surveyor in Central London, Miles now leads Right Surveyors London Home Surveys as Managing Director. Miles has a long service record specialising in Central London residential and commercial property valuations. He specialises in all aspects of property valuation, including matrimonial and probate property valuations, leasehold extensions and the RICS Home Buyer Survey as well as property acquisitions advise and major defects reports. Lisa and her admin team work their magic behind the scenes and make your surveys possible! They are the surveyors’ main support and ensure that deadlines are met and you get the best service possible. Lisa has more than twenty years of experience in the secretarial sector- it takes a lot of organisation and efficiency to achieve the kind of results that Lisa gets! With Lisa, you’re in safe hands! 15 The number of years Miles Strong has been a practicing professional surveyor in the Greater London area. 650+ The number of successful surveys that Miles Strong has carried out since joining the Right Surveyors. 68% The proportion of all chartered surveyors in the Greater London who have obtained the ‘Member’ distinction with the RICS. 5,800 The amount in pounds that the average UK homebuyer spends on repairs once moved into their new home. Contact Miles today for a quote, or for impartial, no obligations advice. Why not give us a call? You’ll be warmly greeted by one of our enquiry team. The enquiry team strives to ensure that your experience with Merton Surveyors is as pleasurable and efficient as possible. We take pride in the responsiveness of our team's customer service and the organisation of the team's admin. When Miles is travelling around from survey to survey and unable to answer the phone, Chloe and her team are on hand to answer any questions or to take any enquiries from you. The enquiry team is managed in a way that ensures that our service is coherent and stress free; they do their best to answer any possible answers that you may have. Ellis has a natural affinity for customer service and is always available to assist you. Not only is he a top-notch administrator, he has a vast knowledge of surveys and valuations. It is Ellis' commitment and support that allows Miles to focus on your surveys, and therefore give you the best service possible. Clients often have questions about their surveys. This can be difficult sometimes as Miles is often out on site and so he is unable to answer questions immediately. Bill is a trained surveyor and is always available to answer any questions that you may have. What is rising damp? How long does it take for a survey to be issued? Is my house vulnerable to structural movement? Just ask Bill.